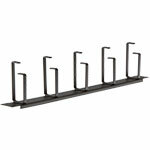 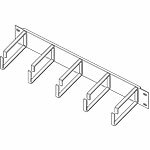 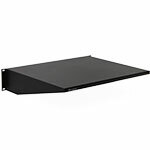 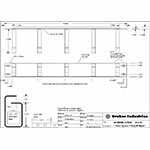 Consisting of five durable support rings, this vertical cable management panel helps organize cables along racks. 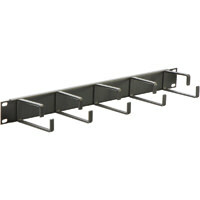 The sturdy steel rings help secure bundles of cabling. 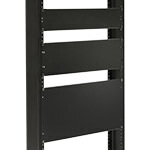 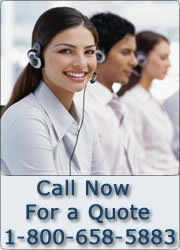 Made from black powder coated steel to ensure a longer lasting guarantee. 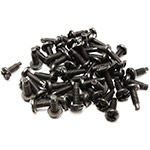 Both the 12-24 and 10-32 Phillips screws are included. 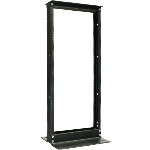 *Based on average cable diameter of 0.225"